ZO is a series of small, informal piano concerts in Paul Cantrell's living room in Minneapolis. The music is intense and absorbing; the atmosphere is relaxed and friendly. 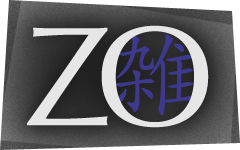 For more information about Zo, read the FAQ — then read what other people have said about it. If it sounds like fun, reserve seats for a concert! If you're not in Minnesota, or you're just looking for some instant musical gratification before the next round of house concerts, you can explore the rest of Paul's music site.